Increase your facility with the key elements of dialogue (active listening, inquiring and advocating) by using this card deck. Cards are color coded and present specific techniques that can be used to develop or strengthen individual or team skills. You will learn how to prepare for important conversations, frame powerful questions, uncover someone else’s reasoning, offer your ideas in a way that is very likely to be heard, and craft agreements that last. On one side of each card, techniques are described; on the other side, examples are provided with specific language. Directions guide individuals through a self-paced assessment and development process. 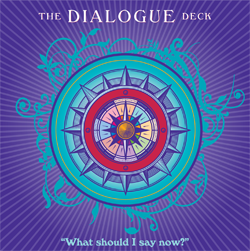 For more information about The Dialogue Deck or to purchase, please visit www.dialoguedeck.com. Coaching is not just for coaches. When everybody within an organization learns and develops coaching skills, the group’s culture begins to change. The willingness to share insights and ideas becomes accepted and expected at all levels — up, down and across. 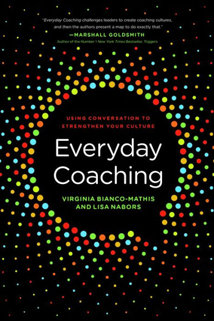 Through practical tips and examples, Everyday Coaching demonstrates the difference between conversations and true dialogue: the power of using the language of coaching to achieve expectations, personal growth and overall strategic success. With an easy-to-use coaching model, you may practice formally or informally giving feedback, making agreements and guiding behavior. Not everyone is a professional coach. But with Everyday Coaching, everyone may take the best of what coaching has to offer — the dialogue, tools and mindset — and leverage it to transform themselves and their organization. For a copy of this book, contact us or visit ATD Books. Are you a leader who is trying to develop a coaching organization? Are you a coach who is trying to coach leaders? Do you need a resource that combines theory with practical tools? Strategic Performance Group’s Leading From the Inside Out: A Coaching Model will help you develop masterful coaching techniques and cultures. 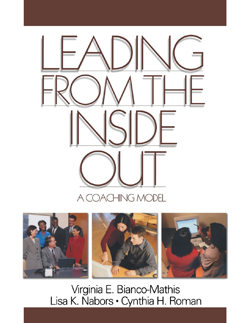 Grounded in the fields of management, leadership, behavioral science and organizational development, Leading From the Inside Out: A Coaching Model is filled with valuable case studies, real-world examples and practical job tools. The book addresses five critical topics: Overall Coaching Model and Framework; The Leader Within; The Leader with the Team; The Leader with the Organization; and The Leader with the Community. For a copy, contact us. 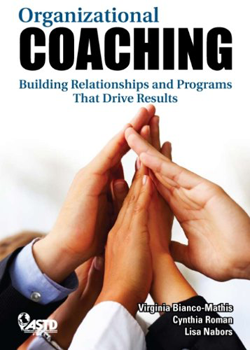 The book reveals everything you have to know to create a successful coaching program in your organization. The authors have blended their extensive experience with organizations and how they work with their coaching expertise to present a clear and detailed roadmap that can be used in any organization. Whether you are an internal or external professional, this book will guide you step-by-step as you work to define the role of coaching in your organization, identify stakeholders, collect, analyze and feedback the “right” data, design goals, track progress and measure what matters. Each chapter presents multiple examples, tools, templates and resources to support you as you move to design, implement, manage and evaluate a coaching program in your own organization. For a copy of this book, contact us or visit ATD Books. Leaders are often aware of the benefits of coaching, but they may wonder how to expand individual coaching successes across their entire organization. 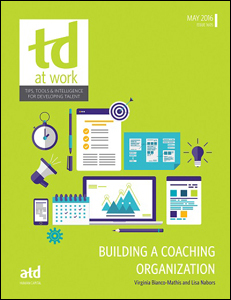 This issue of TD at Work describes the total systems approach that is needed to create a culture where everyone is empowered to participate in coaching. In Building a Coaching Organization, you will find the definition of a coaching organization, essential building blocks for coaching programs, coaching tools and techniques, case studies of successful organizational initiatives, example conversations and dialogue tools and strategies for implementing coaching across an organization. Click here to order your print or PDF copy. This two day intensive workshop is offered on site and to the public. It is geared to Workplace Learning and Performance Professionals (WLP) who are interested in bringing coaching to their organizations. The SPG partners created this workshop in 2007 for ASTD and have delivered the content to outstanding reviews. To read more about this certificate workshop, please visit www.astd.org. SPG can offer a special coaching course to your group/organization privately and tailor it to your own organization’s need.